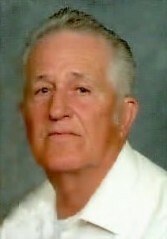 Harry E. Heche, Jr. 71 of North Webster passed away at his residence Thursday, February 4, 2010 at 12:20 PM. He was born March 23, 1938 in Fort Wayne IN to Harry & Thelma (Brown) Heche Sr. On January 9, 1965 he married Ann Calkins who survives. He was a lifelong area resident. Harry retired from Maple Leaf Farms. A US Army Veteran, he was a member of the North Webster American Legion Post #253. He attended the North Webster Church of God. Harry is survived by his wife Ann Heche of North Webster. 1- Daughter – Mrs. Chris (Kimberly) Hattery of Leesburg. 5- Sons Karl (Kim) Waugh of Leesburg, Rusty (Serena) Waugh of Fort Wayne, Harry (Dawn) Heche III of Fort Wayne, Michael Heche of North Webster and Richard (Lynn) Heche of Cromwell. He is also survived by 16 Grandchildren and 12 Great Grandchildren. Harry was preceded in death by a grandson Karl “Bubby” Waugh Jr.
Services will be Saturday, February 6, 2010 at the Eastlund Funeral Home Syracuse at 2:00 PM. Calling will be from noon until 2 PM Saturday. A military walK-through will be Saturday at the funeral home prior to the service. Burial will be at North Webster cemetery, Mock Addition, where there will be full military honors by the American Legion Post #253. Memorial contributions may be made to the North Webster American Legion Post #253.